Sky Go launches on new Android devices from Google, Samsung, Sony and more | What Hi-Fi? Sky Go has launched on more Android devices including those running the Jelly Bean OS, which includes the Google Nexus 4 phone and Nexus 7 tablet. This latest update brings Sky Go to more devices including those running the Jelly Bean operating system, which includes new devices from Google, HTC, LG, Samsung and Sony. 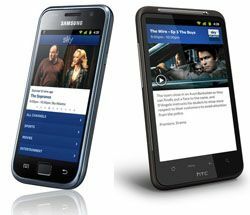 Flagship devices including the Nexus 4 and 7, the HTC One X and other One models, the Samsung Galaxy Note 2 and Sony Xperia phones all now support Sky Go. Sky Go brings up to 43 live channels including Sky Sports, Sky Movies and thousands of hours of on demand content. The free app – to Sky subscribers – has been on iOS devices for some time and a growing number of Android phones and tablets.